Inside Sunterra Market's new Calgary store location adjacent to District Ventures on March 13, 2019. Alberta’s Sunterra Market has partnered with a local business accelerator to help entrepreneurs in the food industry find one of their most valuable, and difficult to find, resources: shelf space. 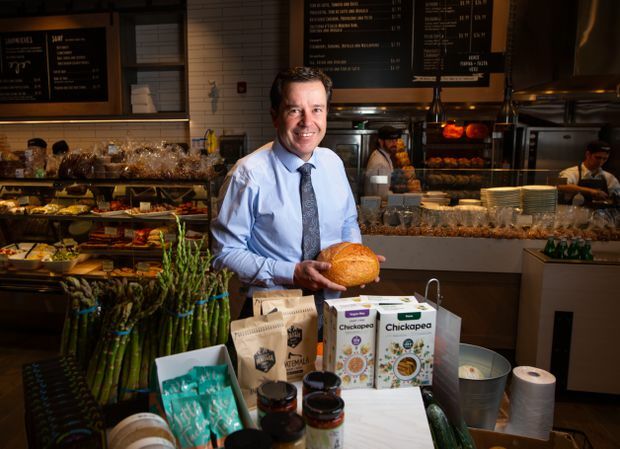 Under the arrangement Sunterra, a market-style grocer that operates eight locations in Calgary and Edmonton, will carry products from companies that have passed through District Ventures’ accelerator program, which focuses on mentoring and investing in businesses that focus on packaged goods such as food and beverages. 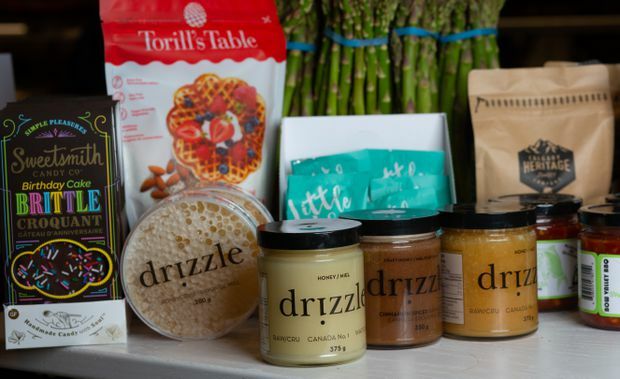 District Ventures, run by Dragon’s Den cast member Arlene Dickinson, launched its consumer-goods entrepreneurial program in 2015. 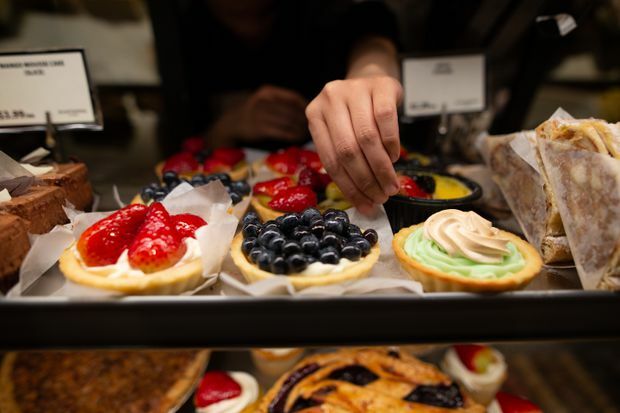 It has worked with 69 businesses, including Calgary’s Wild Tea Kombucha and Drizzle Honey, Winnipeg-based amaretti maker Piccola Cucina and SoCIAL LITE Vodka out of Toronto. 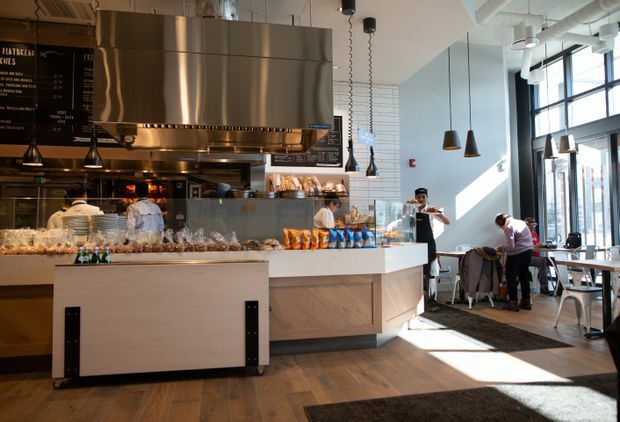 “These companies start out [like Piccola Cucina] and you can have the best amaretti in the whole world, but if you can’t get it on a shelf and get people to buy it, it just doesn’t matter," Ms. Dickinson says. Some of the pastry at Sunterra Market's new Calgary store location adjacent to District Ventures. District Ventures Accelerator helps a small group of Canadian entrepreneurs move through a five-month program designed to improve sales, distribution and marketing. In exchange for the crash course in marketing, financial planning and sales, they give up a small stake in their business. The agreement with Sunterra will help those companies break into the retail sector with sought-after shelf space in all eight Sunterra Markets locations. “The biggest challenge in our business is that our shelf space is limited and the shelf space is already filled with products we are excited about,” Sunterra president Glen Price said. Sunterra Market president Glen Price inside the new Calgary store location. Though this space is not always guaranteed for all products offered by the businesses in the District Ventures businesses, Mr. Price said his company will work directly with the entrepreneurs by providing feedback on their products, including what they receive from consumers at store level. “Part of that is not just listing every item that [is presented] because we need to be able to provide the appropriate feedback,” said Mr. Price, who added that some of that comes from Sunterra’s customers. Mr. Price said Sunterra has other benefits for new businesses. For example, the company doesn’t charge listing fees or require money upfront that small businesses might not have. Pina Romolo, the co-owner of Winnipeg’s Piccola Cucina, finished the District Ventures program in 2016. She said it helped reset her business goals and encourage her to think broader. Ms. Romolo said that beyond the mentorship, one of the most valuable things her businesses got from the program was contacts for distribution. For companies such as hers, it all comes down to securing shelf space inside grocery stores. In the past four years, Ms. Dickinson said District Ventures has received thousands of applications from small businesses across Canada and elsewhere looking to take the next step. She said there’s never enough room for all applicants and she acknowledged that some are just not ready for the leap.